Today, NASA announced the astronauts who will launch aboard new American-made spacecraft and rocket systems, the first human launches from the United States since 2011. 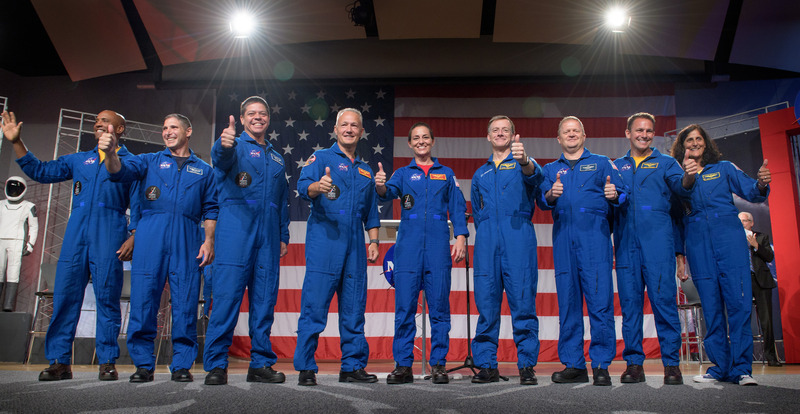 Nine U.S. astronauts, eight NASA and one from Boeing, were assigned to the first test flights and operational missions for Boeing’s CST-100 Starliner and SpaceX’s Crew Dragon in partnership with NASA’s Commercial Crew Program. This public-private partnership marks the beginning of a new era of human spaceflight. NASA has worked closely with Boeing and SpaceX as the companies design, develop, and test their systems to ensure safe, reliable and cost-effective commercial transportation for astronauts to low-Earth orbit. This will be an unprecedented achievement for the commercial space industry, and will allow NASA to focus on deep space exploration with NASA’s Orion spacecraft and Space Launch System, as we return humans to the Moon and on to Mars.